Hi, we are Pursuit Physiotherapy in Red Deer. We promote balanced, healthy living through dedicated, individualized physical therapy for those in pain, unable to participate fully in their daily activities, wanting to maximize their function for work or sport, and wanting to prevent potential problems. Our clinic is designed to help you achieve your health goals. Our team works towards your success and recovery. We focus on our clients ability to function in their day to day lives. Physiotherapists are part of the medical team and are trained to diagnose your problem and provide you with the tools to get you on your way. We do this through assessing and explaining your pain or dysfunction and treating it appropriately to help you achieve your outcome goal. We are dedicated to a friendly, compassionate, and safe environment. The combination of therapists and support staff at Pursuit Physiotherapy work together to provide skilled and compassionate care. We have some similar skill sets and personality traits and some very different ones but together we feel we can offer our clients exceptional physiotherapy. We take the time that is necessary to fully assess an injury and give you options on how to best deal with the problem. We believe that a high level of skill through post graduate courses and clinical experience allow us to provide first class physiotherapy services. 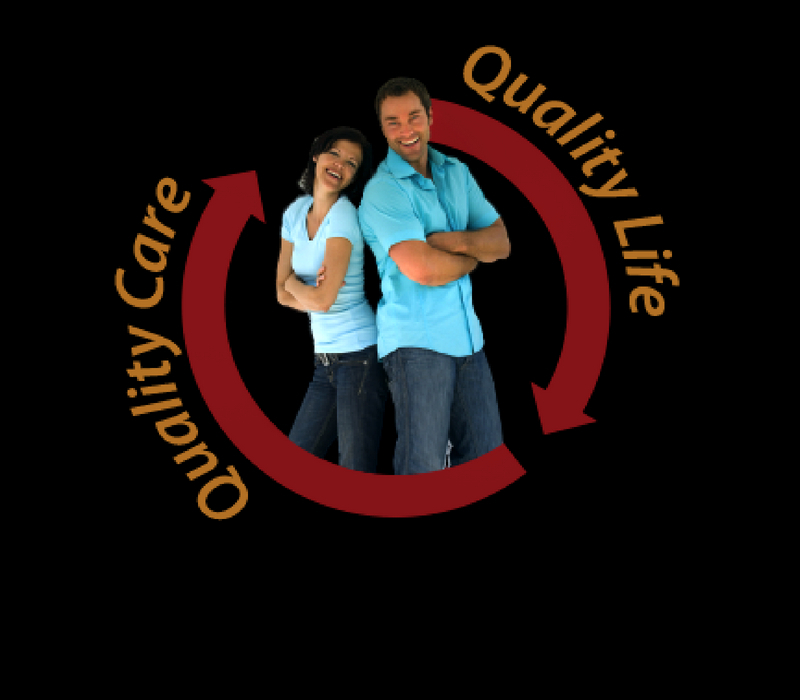 We believe that together we can be a strong force in improving your quality of life to pursue your goals. Your goal may be as simple–or complicated–as reaching the top shelf of your kitchen cupboards in spite of your aching shoulder, or as complex as learning to walk again after a serious motor vehicle accident (MVA). Your problem may be greatly limiting and preventing you from performing your work, daily home tasks, or recreational activities. Or, your problem may be just annoyance … for now! Whether an acute orthopaedic injury or a chronic pain that has been going on for years, our therapists are dedicated to providing skilled and appropriate treatment to help you recover. We want to take it a step further and educate you to help you prevent future flare ups and promote improved overall health. At Pursuit Physiotherapy, we encourage our therapists to continue their education beyond their university years in post graduate course work. This allows us to offer you treatments with advanced skill in manual therapy (mobilization/manipulation), muscle release / myofascial techniques, intramuscular stimulation IMS (dry needling), and current information from the health world.